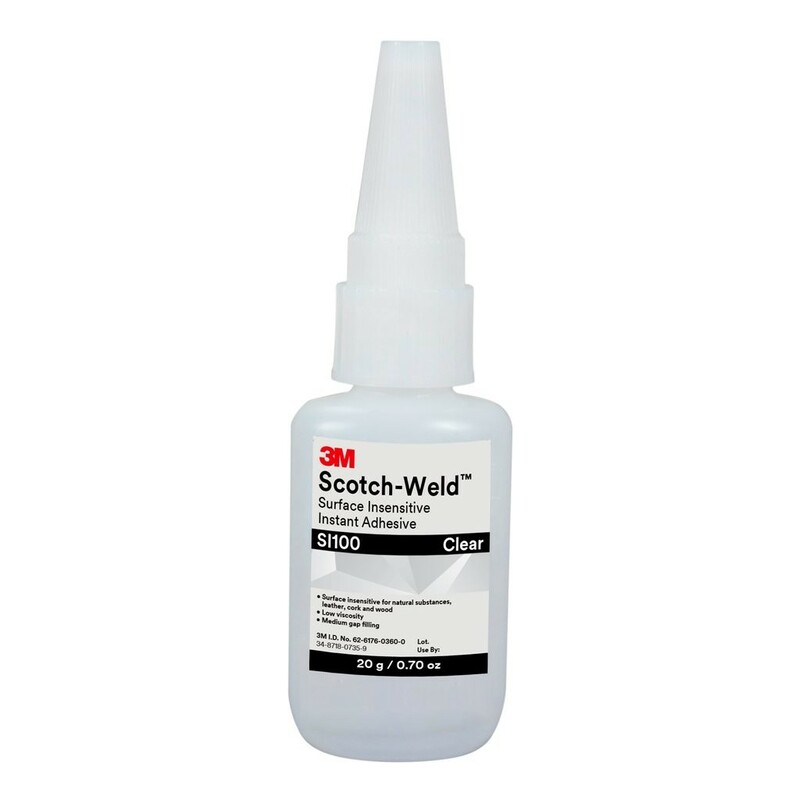 3M™ Scotch-Weld™ Surface Insensitive Instant Adhesive SI100 is a low viscosity instant adhesive. The SI100 instant adhesive is formulated to give exceptional performance on wood, leather and paper. Once applied, the glue has fast handling time and cure to keep jobs moving quickly. 3M™ Scotch-Weld™ Surface Insensitive Instant Adhesive SI 100 bond rough, porous, contaminated and acidic substrates including wood, cardboard, veneer, fabric, cork and leather.